Denmark looks set to become the second nation to persuade drivers to switch to electric motoring, writes Maurice Glover. Following the deal signed earlier this year with Israel, Renault-Nissan and infrastructure provider Project Better Place are now discussing the supply of electric cars and support systems with Danish government officials. "They are still to sign the documents, but they have made it clear they want to operate a similar arrangement as Israel. This is good news because it shows how governments are beginning to realise that oil is starting to become scarce. We're confident others will follow in due course," said Renault strategic environmental planning vice president Alice de Brauer. 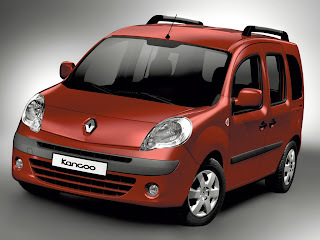 Renault will make electric versions of the present Kangoo light_van and next-generation Megane hatchback models be available in both countries by 2011. "As a vehicle using existing architecture that has to be adapted, the Kangoo will not be a particularly good example of electric power, but we are putting some new ideas into the Megane. "However, we are starting to develop a specific platform for electric cars for introduction in 2012," she said. According to de Brauer, the new platform will initially be used for a Megane-sized family car but is being designed to carry a range of variants. "We have yet to decide where this new model will be built, but it should be reached by the end of this year, when the business plan has been completed. The view is that if Denmark agrees to make a commitment to electric cars and other countries follow with tax concessions that encourage people to make the switch, we could be building up to two million units per year."